Those words describe Dru, who recently participated in our Zappos Adaptive photo shoot. 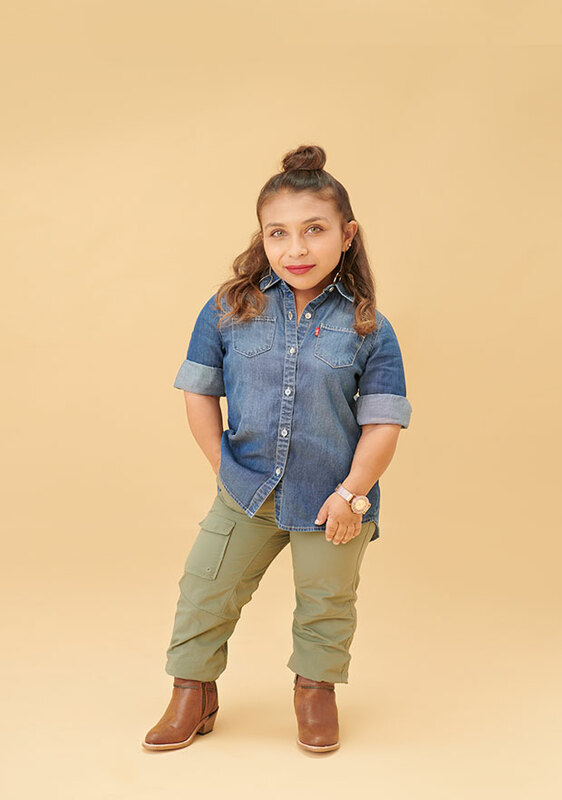 Disability fashion styling expert Stephanie Thomas of Cur8able worked with our models to find functional and fashionable looks that were perfect for all of our models. While on set, Dru even called her mom to let her know she finally found a denim shirt and boots that worked for her! What is it like to be a model? To be a model is probably one of the hardest, yet easiest things I could possibly do. I had a problem with showing myself too much. I didn’t want to reveal a lot about myself. I had to get comfortable in front of the camera. I had to get comfortable with my body. So that was the biggest struggle. I had to appreciate and accept and come to peace with my curves, and who I was and how I was built. It was a struggle, but I also saw the impact it had on other people. That’s what made my job easier - that I was able to be an inspiration or role model for somebody else. Who or what inspired you to go into modelling? No one really inspired me. Actually, I inspired myself because I knew that I had no clothes to wear when I was younger and there was no company that catered to me for my age or my size. Finding clothes that worked for me has been a struggle. I wanted to speak up and play a role to showcase brands that made clothes that are functional and fashionable. I had to push past being uncomfortable and became my own inspiration. I used other kids as inspiration and other parents as inspiration as well to build and become the model that I am today! What do you want the world to know about you? I want the world to know that I’m just as boss, I’m just as driven as everybody else in this world. Except I’m short. That is literally the only thing that’s different about me. I love to keep active! I love hiking, going to the beach, spending time with friends and I like to keep myself busy. I like to see every new attraction in Los Angeles. I love fashion and keep in trend with everything that’s coming out. Oh god! Just one word? Okay! I’ll give you two. I describe myself as determined and driven. When I think about something I completely set my mind and whole heart to it and I dedicate what I want to do for that whole journey. I wanted to come here (to LA) to pursue my dreams in fashion. I set my heart on this, and I was by myself during the whole journey and I did it! I now partner with brands who’ve opened their minds to more people. Brands and fashion designers are changing their perspectives on beauty, and that is exactly what I set out to do. What are some of your challenges in getting dressed? The biggest challenge I have is that sometimes clothes are too long because of the straps, or if I go to the kids’ section it’s difficult to find the right thing the clothing is made for people who are as developed as I am. So I work with women’s clothing that is my size, as well as children’s sizes. I know that I can fit into a lot of jackets but I know I cannot go small in kids because their shoulders are not as broad as mine yet. With pants, I cannot go with super skinny legs because this girl’s got a booty, ya know! As little people, we struggle to fit it in some things. I’ve learned how to hem pants myself because my mom has taught me to be independent. I can fit into just about anything else with some small adjustments. What do you wish you had that you don’t have? More shoe options! 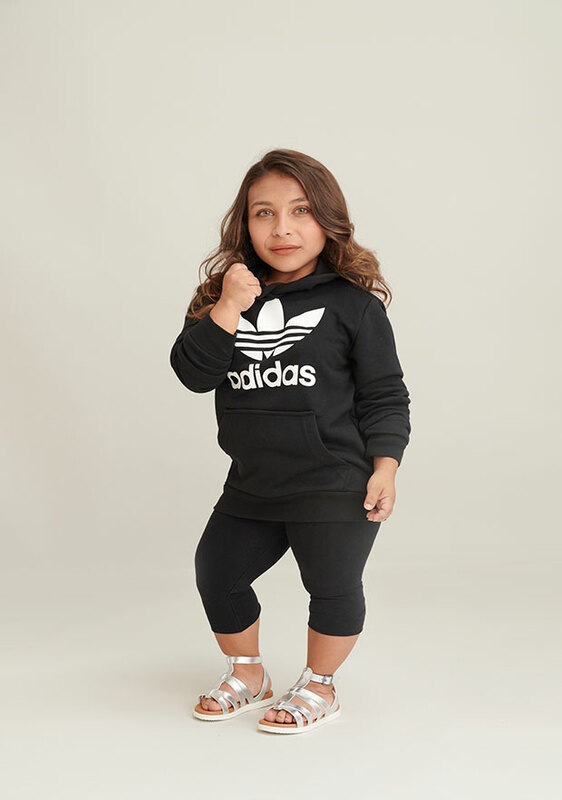 I would love to see more age-appropriate high heels that are a better fit to little people’s feet. I want to look like I’m going out just like any other woman would do. What advice would you give to someone who have similar dressing challenges as you? To those who have similar challenges as me, if you think you’re in a rut and you can’t find anything that fits, keep trying or remove yourself and put yourself in a position that would make you happy. I’m from a very small town and there weren’t many clothing options for me. I wasn’t trendy, there weren’t a lot of options, so I removed myself from that environment and I put myself in a position where so many of my needs could be met. If you feel like you want to grow beyond where you currently are, it may be time to consider moving to a place that allows you to be authentically yourself. It’s your life and you have to be happy. Although we were born into a world that may not be made for us, we’re making it our own. Go out there, follow your dreams, and don’t ever give up! What are your thoughts about Zappos Adaptive and our mission? The fact that Zappos has an open mind to listen to people with disabilities and parents of kids with disabilities why I came here. I wanted to help open and broaden the minds of brands and fashion companies. And with Zappos doing that before I could even get to them is amazing – that means it’s working you guys!! I think fashion is one of the biggest statements anyone can make in their lives. Fashion describes you and it helps show who you are to other people without saying anything. You dress for specific events and the things going on in your life. 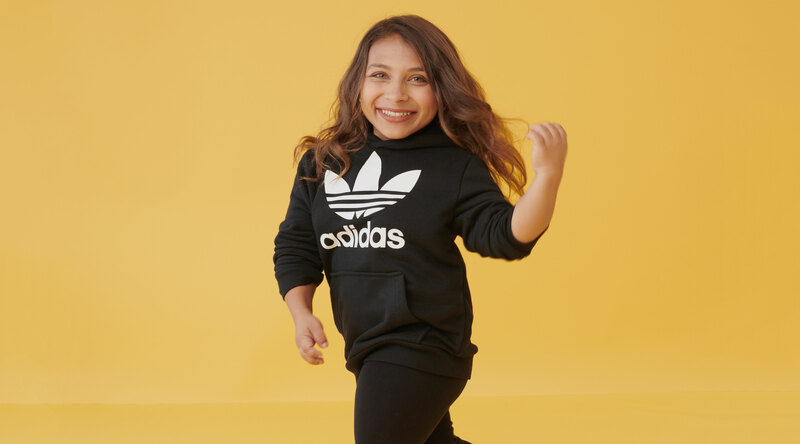 With Zappos Adaptive, people with different types of bodies have options just like everybody else. Zappos has made it a thousand times easier for people like me and others with disabilities. I’m pleased and so honored to be a part of this whole process. Thank you Zappos! You’re doing it. You’re on the right track! How has your experience been on set at the photo shoot with Zappos Adaptive? My experience here today has been the most fun and the best learning experience. This was my first professional shoot, and I’m flabbergasted because a brand to actually recognizes my needs. I’m so honored! You don’t understand how hard I’ve been working to get to where I am, and today made me realize that all that hard work – blood, sweat, tears and all that - is worth it. I came to set here to do one thing and Zappos is helping me do it in one day. I’ve been introduced to so many new people and opportunities for later on because of Zappos and today. Thank you!! Thanks also to my dear friend, Stephanie Thomas of Cur8able. She was one of the people who believed in me, and that warms my heart. Thank you so much for what you are doing for this community – you are making the biggest statement today [by being part of the shoot]! 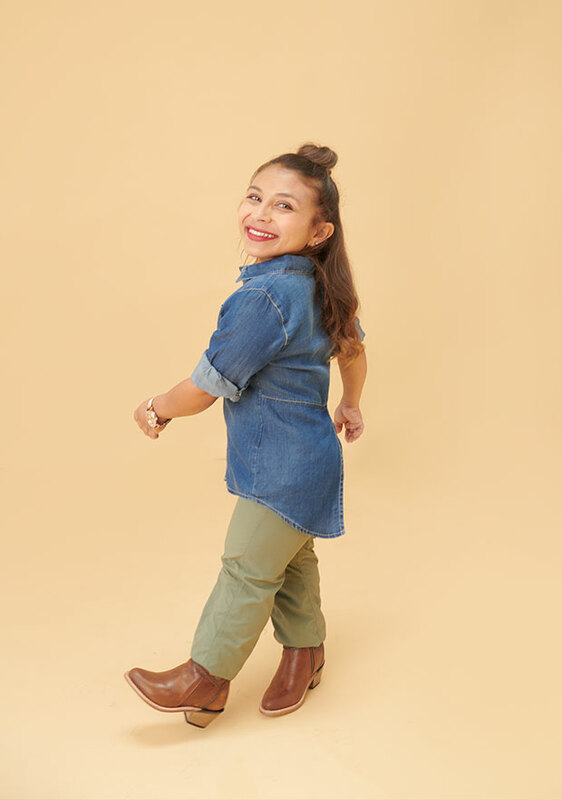 The Zappos Adaptive team worked with Stephanie Thomas who put together a variety of outfits that would work for Dru and other little women. Love what Dru is wearing?